Cowboy Jacks | Journey to "i do"
I want to say we wrapped up the rehearsal right around 9 PM, but I can’t be too sure because I was hardly looking at my phone all day and I don’t wear watches. BEST IDEA EVER: Having the rehearsal dinner location literally across the street. After everyone was “dismissed,” people started exiting in groups to head over to our location of choice necessity, the loud but fun western bar, Cowboy Jack’s. They might not have been our first choice in a pub, but their service was impeccable and their staff was amazing. Immediately upon entering the private room they were asking our guests for their drink order and attempting to give out tickets based on what burger each person had selected in advance (on our wedding website). I had no idea how they were going to figure out who had ordered what, we had so many options, beef, BBQ, turkey, veggie, cheese or no cheese, but their little labeled cards did the trick! Our reserved space was essentially two rooms with the sliding door between them fully open. It was the perfect size and everyone was able to sit by wherever they wanted. My only complaint was that it was hard to address everyone during the toasts because the bar was so loud (party bar for sure) and because there was no good place to stand and be heard in both rooms. You really had to keep turning you head from side to side in order to be heard. The noise level was a bit frustrating to be honest (especially after the screaming teenagers from earlier) but we went ahead as planned. When Mr. Sword told us he was going out with Mrs. Sword we were quite nervous about the thought of meeting her… after all Mrs. Sword was the first girl Mr. Sword had brought home to meet us so we thought that this relationship must be quite serious! Especially when they had to travel all the way to Scotland for the introductions! Anyway as soon as we picked them up at the airport and were introduced to Mrs. Sword, any concerns we had disappeared as we found Mrs. Sword to be a very friendly, warm, and genuine person and our liking for her just grew over the time that they spent with us. So we were absolutely thrilled that their relationship blossomed and that they are now only a few hours away from being married. Next up, I spoke, because in case you can’t tell from my lengthy blog posts, I love words and talking and writing. While I wanted to thank everyone in the room (and the world!) I had to limit myself and chose to thank the three women who occupy the space of a motherly role in my life, all in different and special ways. I won’t include it here but in my speech I thanked Boss Lady, Mum Sword, and of course my amazing mother, Mom Sword! There were TWO surprises at our rehearsal dinner. 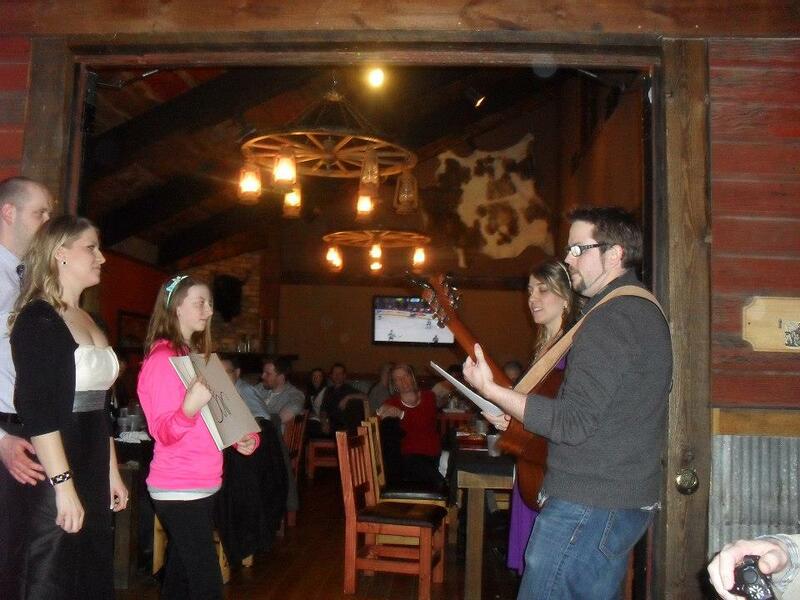 The first was Sister/MOH Big Eyes and FBIL singing a song medley that chronicled our relationship over the years. SO cool. They chose a short verse or chorus from each part of the song to represent each moment written on cards (written in bold below) held by our Usher/Cousin Dancer. Drama Queen by Suzie McNeil- It all started with a girl named Mrs. Sword. Geek in the Pink by Jason Mraz- And… a boy from Scotland named Mr. Sword. Woman I Love by Jason Mraz- Mr. Sword decided to pop the question. I Do by Colbie Caillat- Mrs. Sword said yes! The photo below is a good view of the awkwardness that it was to stand in between both rooms. The second surprise of the night was from ME to Mr. Sword! The groom’s cake is a tradition we never really discussed and wouldn’t have missed to be perfectly honest, but I knew my hubby loves a good tres leches cake. He’d never had one until coming to America and since his first one in 2010 we have to look for tres leches cake on every single dessert menu we see. If you’ve never had the three milks cake you’re missing out! It’s nothing short of amazing and FWIW I once made one starting with a yellow box cake and simply added the milks to it, and Mr. Sword was in heaven! Of course I had to have them write “A Highland Fairy Tale” on top! Mr. Sword loved his groom’s cake and definitely had no idea it was coming so I was pretty happy! The woman I worked with to organize our rehearsal dinner at Cowboy Jacks was so sweet and she even offered to pick up the cakes earlier that day so we wouldn’t have to find someone to do it. 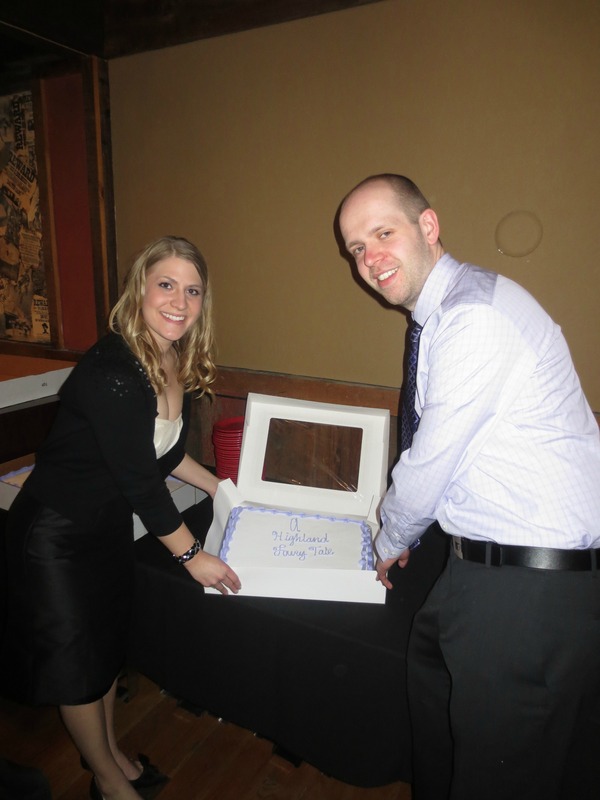 Cowboy Jack’s also provided us with plates, forks, and an open table to store our bridal party gifts. They went above and beyond. I know it might be a bit of a unique place for a rehearsal dinner but I highly recommend them to anyone getting married in the Twin Cities and Bloomington area! Who doesn’t love a good burger and a beer? 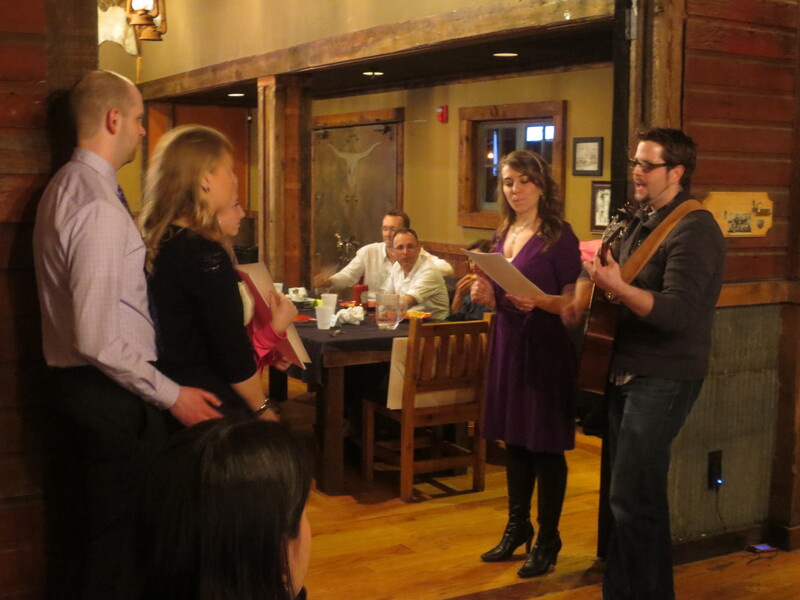 Did you have any surprises at your rehearsal dinner? Did you choose convenience too and in the end it was totally worth it? So before we leave on our unplugged honeymoon (more details on that to come next week), I have a few more posts to share about the Sword wedding planning process. It’s time to divulge that there was one thing that could have been a HUGE problem but luckily turned out perfect in the end. Truthbomb: We might have invited a few more people to our rehearsal dinner than we could actually fit in the reserved room. How much more you ask? Well since our rehearsal dinner goal was to feed anyone who came from out-of-state or out-of-country, we ended up inviting a total of 148 people. We were thinking how much fun it would be see everyone twice, we were thinking feeding everyone twice was a way to thank them for making such a long trip, but in the end it was clear we were NOT thinking because it wasn’t until after the invitations had gone out that Mr. Sword turned to me and said, “How many people can we fit in that room at Cowboy Jack’s?” My response, “Oh, a hundred or so.” Wrong! I would normally have shouted my faux-pas on the blog in order to warn others against making the same mistake but I wanted to avoid making a guest feel like they weren’t welcome! All of our amazing guests were so important to us and dammit we were gonna find seating for them all! And then of course, it all worked out like I knew it would. Our final number ended up being 66 people. Four under our room’s max occupancy. Swords for the win. And no one had to know. Did you or do you have something you over-invited for by accident? Any secrets you care to share post-wedding that you knew would work out in the end? I’m going to show you four different photos of four different couples and you guys tell me for which couple would it make sense to host their rehearsal dinner at a restaurant called Cowboy Jacks. 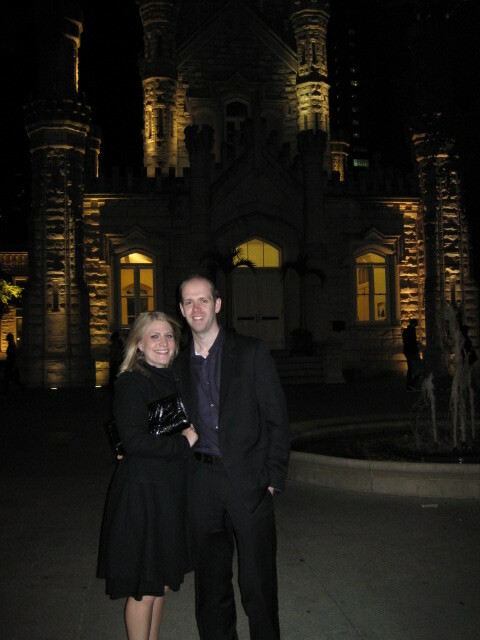 If you guessed Couple Number #3 (aka The Swords) you guessed correctly! Mr. 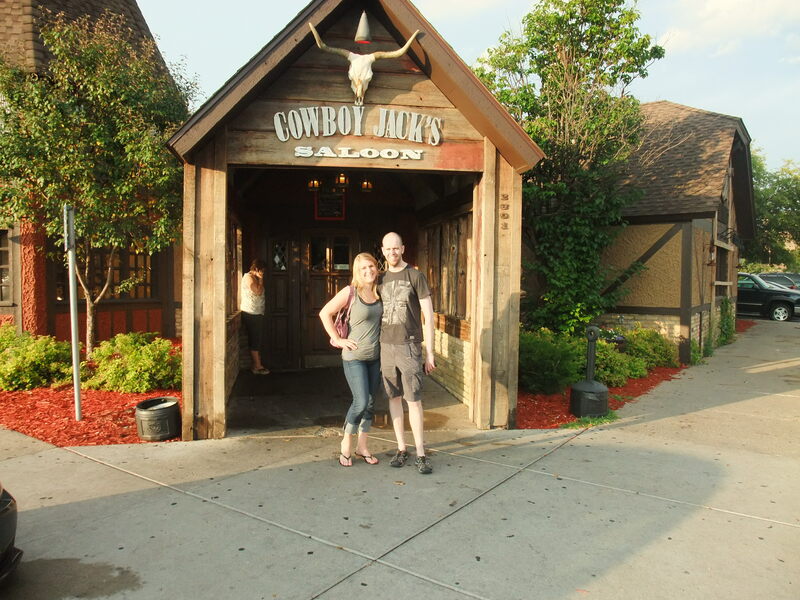 Sword and I are hosting our rehearsal dinner at Cowboy Jacks. I can say with full confidence there is no restaurant more opposite of our tastes. I would describe Mr. Sword and myself as modern and minimalistic city folk. Originally we had envisioned this sophisticated and chic Chicago style rehearsal dinner, but that didn’t seem to be in the cards. Instead, this (see below) is now in our future. Yes, that is a mechanical bull. While this restaurant has excellent food (burgers just like we wanted) and a private room (so hard to find a big enough room for all of our OOTG’s), it’s definitely a bit out of my comfort zone! Even though there are animal carcasses on the walls and rifles in place of door handles, it’s LITERALLY across the parking lot from our hotel and that makes it perfect for the Swords. Our main goal was to get the guests out of the hotel for at least some part of the weekend (since ceremony, reception, and Sunday brunch are all in the one location), and at first we were looking into a few restaurants at the Mall of America. The MOA is really close and would have been relatively simple because of the free shuttles that are offered from our hotel. Plus, it would have allowed our guests to enjoy one of Minnesota’s best attractions, but unfortunately, between a lack of space, private rooms, and ridiculously over-priced menus (because they can), we opted for a closer location. After all, this wasn’t the first time we had made a decision based on practicality. Funniest comment so far (as I’m sure this will be a running joke in my family for years) was when Mom Sword said, “I hope the Scottish people don’t end up assuming that all of America looks like this!” And the thing is Mom Sword LOVES country music and is super excited about our choice of Cowboy Jacks, but it’s comical to think about how the the first “American experience” Mr. Sword and I will be showing our out-of-country guests won’t have anything to do with our personal interests! So, is anyone else hosting a rehearsal dinner somewhere that reflects a completely different style or decor than they’re used to? 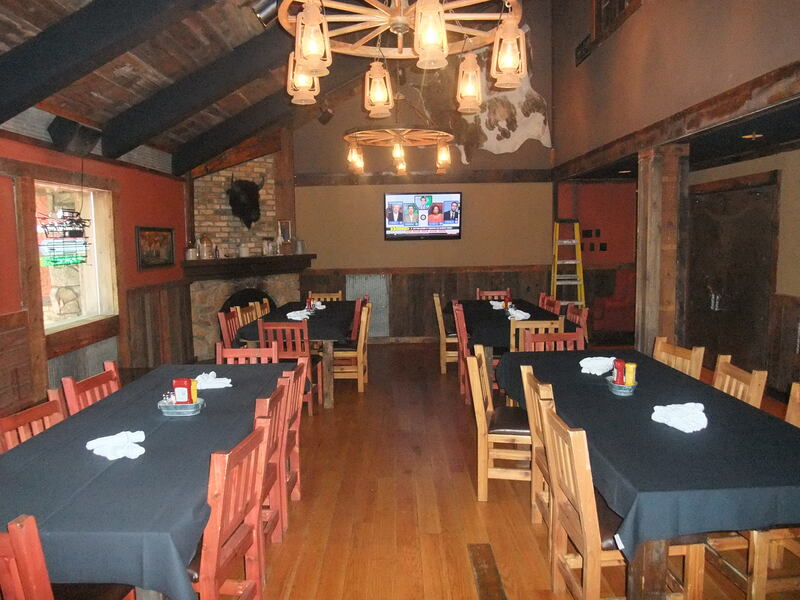 I feel like a lot of people would totally get into Cowboy Jacks; would this be the perfect place for your rehearsal dinner or wedding?